When I heard about #SLAP which stands for Super Light American Popcorn, the first thing that struck me was an innovative name. 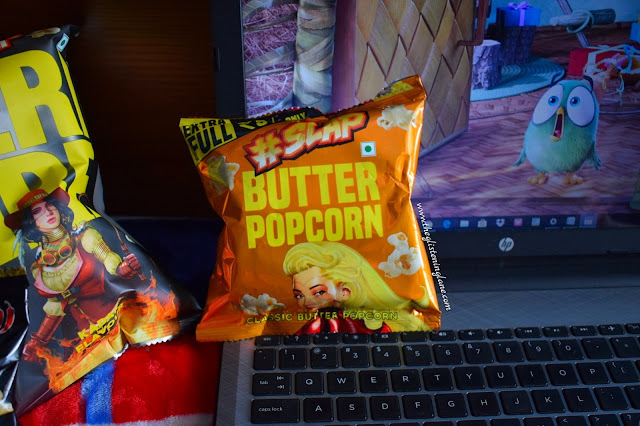 These popcorns are sold by Kadak Snacks which gives off a Desi Vibe! 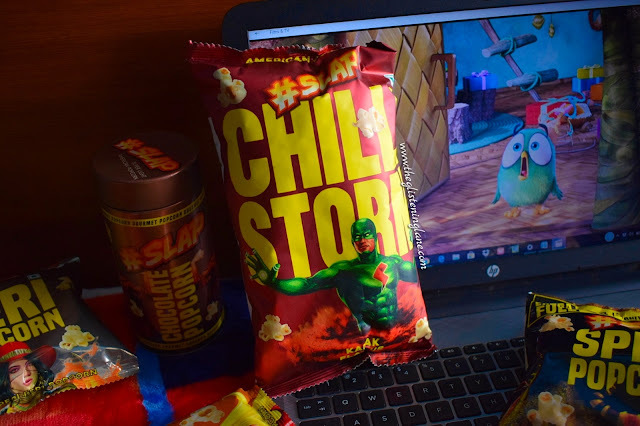 The packaging of these popcorns is quirky and innovative; if you’ve loved superheroes then these will remind you of some golden days. 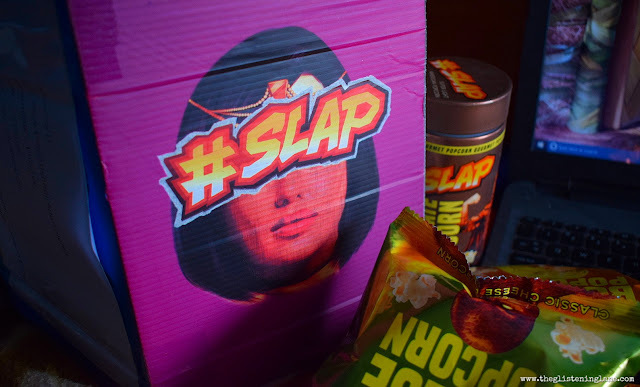 Also, the team of #SLAP was also present on the recent Comic Con event that happened in Delhi. When I left behind my self-restraint early in the morning, the Cheese Popcorn packaging was cut open and the aroma was simply exotic! I could sniff cheese even before taking a bite into these exotic popcorns. The first morsel was enough to sway me with excitement. Popcorn is coated beautifully in Kadak Flavouring. 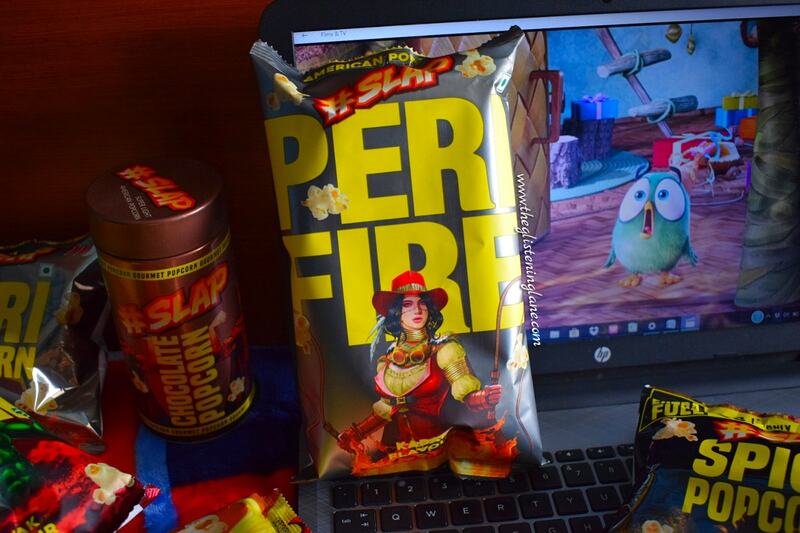 I have had some other brand’s popcorn too but their flavouring is comparatively very subtle. I’m glad this one does justice to their flavours. 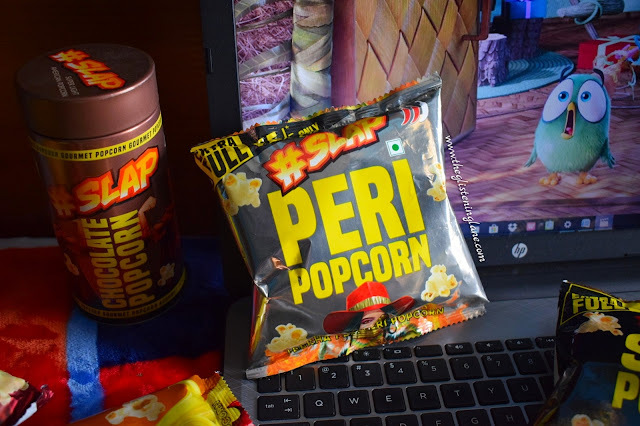 This is what the website of Kadak Snacks says about their flavours – “We as Indians love flavour; the more the better! We know this and have vowed to not disappoint any of our customers in providing a full sensory experience while eating popcorn. 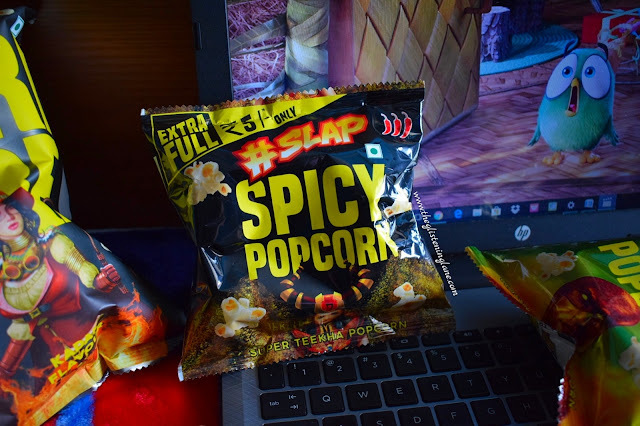 Key to the #SLAP experience is the intensity of our flavours, which we have maximised and this is why every pack of popcorn that we make comes with the Kadak Flavouring promise”. I’ve always had one complaint while eating popcorn; their kernels would get between the gaps of my teeth. Again TMI buy hey, it does happens to almost all of us, right? 😄 Years ago, when I got my braces, the doctors had to extract four of my teeth to create space. Now after I’ve got my braces removed, very slight gap still exists. 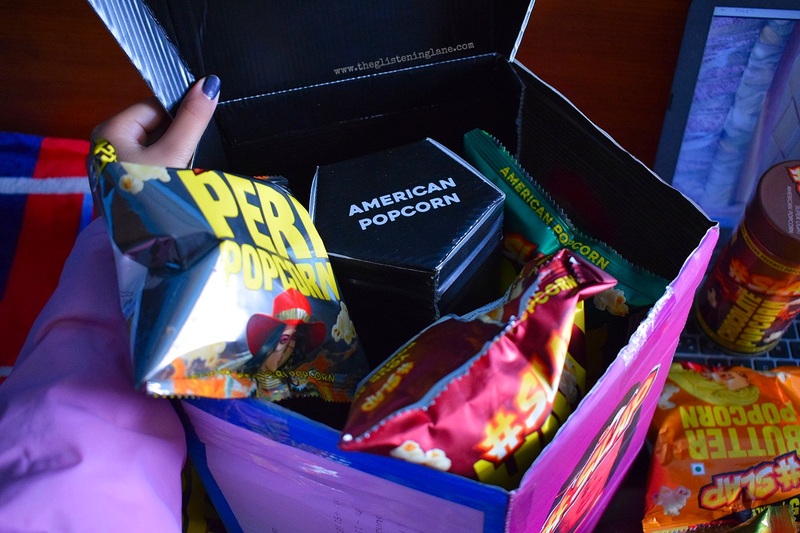 So each time I’d eat popcorn, it would find its place into the excavated region. Also, some popcorn have had kernel which make the popcorn eating experience bitter. I love #SLAP popcorns! While eating these, I faced no such issues. 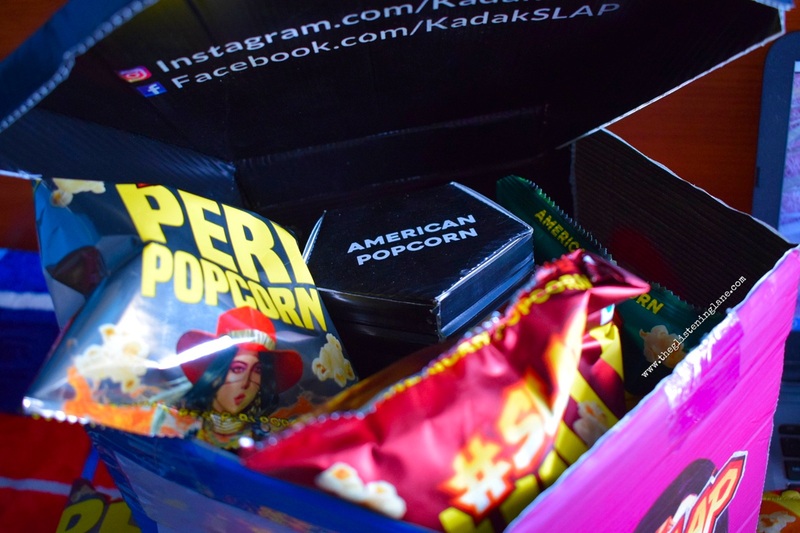 In fact, Kadak Snack claims to employ only the best of American popcorn Kernels. I’ve seen some wafers selling at as expensive rates as INR 300 and that’s just for a usual pack. 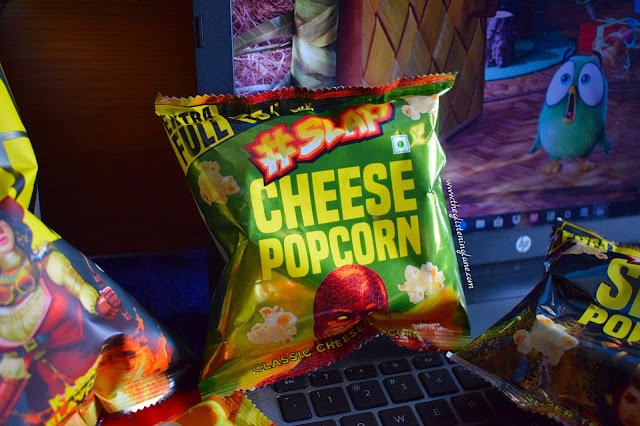 Thankfully, #SLAP comes at such an affordable and economic price point that I’d simply call it “A Paisa Wasool Snack”! The small 15 gram packaging is only for Rs. 5 while the 40 grams packet retails for Rs. 20 only. 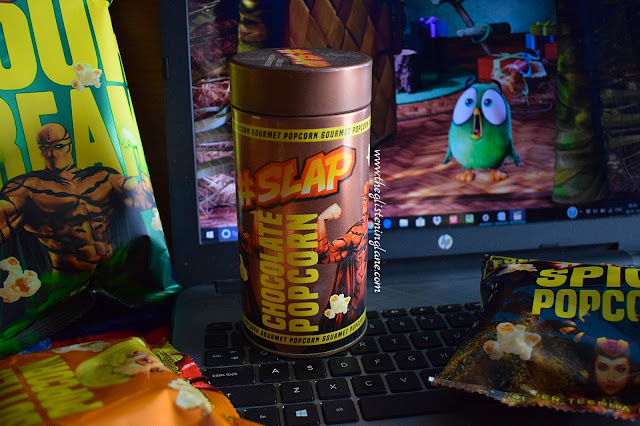 The Chocolate Popcorn which is categorized as Gourmet Popcorn and comes in a rustic tin packaging; retails for Rs. 100.